N O V E M B E R 2 0 1 7 • O U T PA T I E N T S U R G E R Y. N E T • 6 9 S urgical video technology is advancing so fast, it can be hard to keep up with all the innovations. 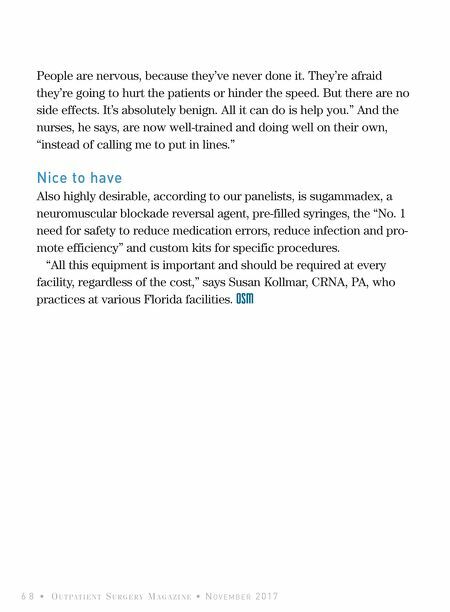 If you haven't upgraded to the newest, brightest, most vivid and most sophisticated surgical video systems on the market, it's possible you don't know what you don't know. 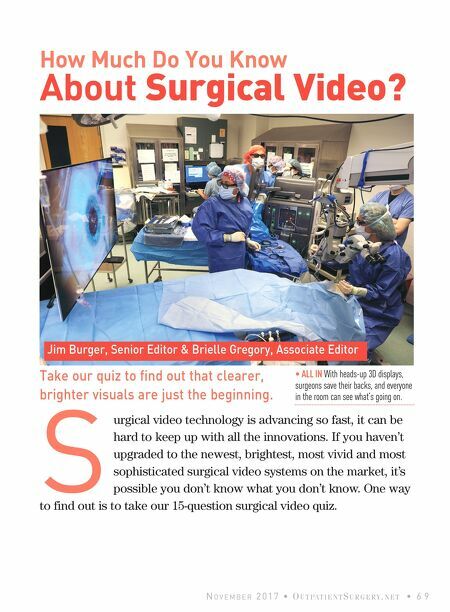 One way to find out is to take our 15-question surgical video quiz. How Much Do You Know About Surgical Video? Take our quiz to find out that clearer, brighter visuals are just the beginning. Jim Burger, Senior Editor & Brielle Gregory, Associate Editor • ALL IN With heads-up 3D displays, surgeons save their backs, and everyone in the room can see what's going on.